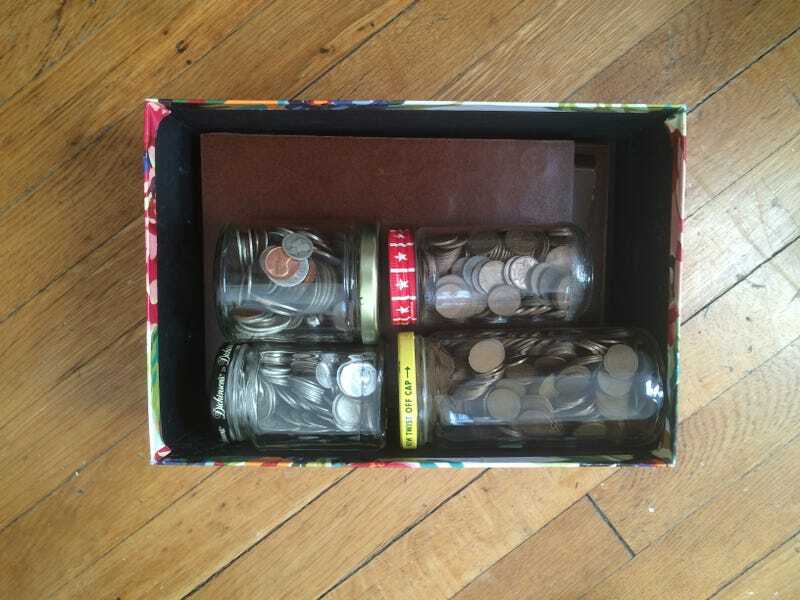 What to do with old coins? A few weeks ago my parents called an exterminator to sweep their attic as they prepare to sell my childhood home [sniff]. My mom was sitting at work when she got the call that homeowners only dream about - “Hi ma’am, uh, well we found a false wall in one corner and behind it was a dusty shoebox full of old coins.” Cha-ching! Well, not exactly. Even though the house is over 100 years old, based on the range of dates (1890-1970) this collection of dimes, nickels, quarters and silver dollars was likely assembled and stashed away sometime in the mid 1970s. My parents, annoyed that they won’t be able to retire on this little box, passed it to me to figure out what to do with it. But the plus side is all the money will go into my car fund. I figure there’s gotta be a few people on here with more numismatic knowledge than me. Should I just soldier through this box and record everything? Where can I go to get the best price for the rare ones? Wanna buy a 1928 silver dollar for $100?